The Boxing world was full of anticipation when “The Moment” came for Floyd Mayweather and Marcos Maidana to face-off in the ring on May 3rd. For the thirty-seven year old Mayweather this was another marquee bout for a fighter widely considered the best pound for pound fighter in the world. For Marcos Maidana this fight was an opportunity to prove that his upset victory over Mayweather’s friend and protege Adrien Broner was not a fluke. If Maidana were able to bring the fight to Mayweather and compete with a fighter who has not lost many rounds throughout his career, much less if he were to pull off another upset and defeat Mayweather Maidana’s stock would certainly go up. Although some had predicted another dominant performance by a master in the art of Boxing as Mayweather is, this fight would be much more compelling and for a rare occasion produce an element of doubt in a Floyd Mayweather fight. When Mayweather and Maidana entered the ring to unify the WBC and WBA world Welterweight championships Boxing fans and experts alike were treated to a highly competitive encounter that could be considered a fight of the year candidate. As I said in the build up to this fight the key in my eyes would be whether or not Maidana could apply consistent pressure on Mayweather, maintain that pressure throughout the entire fight, and deal with Mayweather’s timing and quick hands. It was not surprising to see Maidana start this fight by pressuring Mayweather and getting him on the ropes. Maidana’s ability to pressure Mayweather to the ropes and throw punches from all angles set the tempo of the fight. This fight however, did at times resemble two different types of fights. When Maidana was able to pressure Mayweather and smother Mayweather’s counter punches, while letting his hands go at the same time it was to his advantage. When Mayweather was able to use his lateral movement to stay away from the ropes and was able to get his punches off first the momentum was in his favor. Maidana however, was clearly not in awe of the event and did not show Mayweather any respect. Maidana’s consistent pressure and thudding punches were the main story of the fight in the early rounds. Although Mayweather was able to have his moments it was clear that Maidana had the momentum. An accidental clash of heads caused a cut over the right eye of Mayweather in round four. Even though the cut was accidental, it did produce an element of suspense. Not only was this the first time that Mayweather had suffered a cut in his career, but if the fight was stopped because of the cut it would have been interesting to see how the early rounds were scored due to Maidana’s pressuring attack. Even though Maidana was very effective in landing both to the body and head of Mayweather when he was able to push Mayweather back, Mayweather was also effective during periods when he was able to get off first particularly when he was able to land right hands while mixing in combinations to the head and body. As the fight went on the momentum seemed to turn slightly in Mayweather’s favor. Mayweather was able to use more of his lateral movement in the second half of the fight to not only avoid some of Maidana’s pressure, but also to set up opportunities to get his offense off first. The cut that Mayweather suffered in the fourth round was not an issue in this fight. Several of the rounds however, were very close and as I have often said over the years when it comes to close rounds it will often boil down to what a judge prefers in their own individual criteria of how they score based on clean punching, effective aggressiveness, ring generalship, and defense. Although Maidana’s pressure was consistent, he was not able to completely nullify Mayweather’s offensive output and was not able to keep Mayweather from being able to use his movement as the fight went on. Mayweather was also able to counter effectively in spots on the ropes as the fight progressed. Even though the momentum shifted in favor of Mayweather in the second half of this fight, this was a rough fight and not the easiest fight to score. At the end of the twelve round championship bout, I had Mayweather winning seven rounds to five or 115-113 in points. My score was based largely on Mayweather’s ability to make adjustments in the middle rounds and his ability to get off first and somewhat nullify Maidana’s pressure. It was not surprising to see a difference of opinion as to who won this fight. Both fighters were able to have their moments, both fighters were able to execute their offense, and both fighters had moments where they appeared to be doing more than the other. This was indeed a close fight. The announcement of a majority decision was also not surprising. Judges Dave Moretti and Burt Clements scored the fight in favor of Mayweather by scores of 116-112 (eight rounds to four) and 117-111 (nine rounds to three) respectively giving Mayweather the victory, while judge Michael Pernick scored the fight 114-114 (six rounds to six) a draw. In all truth and honesty although I felt the fight was closer than judges Moretti and Clements I cannot argue against their scoring. 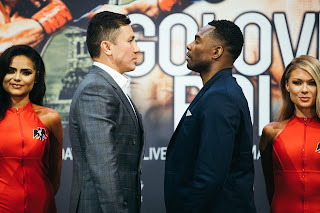 This was a very difficult fight to score, particularly in the second half of the fight and there will likely be a difference of opinion among both fans and experts as to who won those rounds. Even though I had Mayweather winning by two rounds, I can easily see a draw or a score of 115-113 being reversed in favor of Maidana. It was that kind of fight. One thing that appears certain coming out of this fight is that we might see a second encounter between Mayweather and Maidana. Marcos Maidana proved in this fight that he belonged in the ring with Floyd Mayweather and was able to land more punches on Mayweather than any previous opponent landing 221 of 858 total punches thrown while Mayweather only landed nine more punches landing 230 of 426 total punches thrown according to CompuBox. In some ways this fight was reminiscent of Mayweather’s first encounter with Jose Luis Castillo in 2002. Much like Castillo, Maidana comes out of this fight having left a difference of opinion as to who won the fight. Despite the loss Maidana’s stock has gone up. He has absolutely nothing to be ashamed of and is more than deserving of a rematch. For Floyd Mayweather he showed his mettle in this fight as he stood up to a fighter who had a solid fight plan, who was theoretically stronger and one might argue landed the harder punches. Whether or not this fight was an indication of age beginning to become a factor for Floyd Mayweather is a subject for debate. Mayweather however, emerges from this fight still undefeated and still atop his perch as arguably the best pound for pound fighter in the world as he now holds two unified titles in as many weight classes having successfully unified the WBC and WBA titles in both the Welterweight and Jr. Middleweight divisions. It is uncertain as to whether or not the politics of the sport will play a role in whether Mayweather remains a unified champion in two weight classes, but it is nevertheless an impressive feat. As for what’s next for both Mayweather and Maidana, the most logical scenario in my mind would be to see these two in a rematch perhaps later this year. Boxing fans and experts alike enjoyed this fight as the fight created an element of uncertainty that is rarely seen in a Floyd Mayweather fight. Marcos Maidana has now added his name to a select group of fighters who have created doubt when they faced Floyd Mayweather. Jose Luis Castillo, Oscar De La Hoya, Miguel Cotto, and now Marcos Maidana. Of the four, only Castillo had a second opportunity to face Mayweather. Will Marcos Maidana receive a second opportunity? Marcos Maidana stated after the fight that he wants a rematch. For his part, Mayweather seems open to a rematch possibly as soon as September of this year. This was at the end of the day a very competitive and entertaining fight that was indeed memorable. If both fighters are open to a rematch and a rematch is the most logical option out there for both, why not? Stiverne-Arreola II: Who Will Make History?